If you have to have a nanny, at least it seems you could have a worse one. Thanks for reading! See you next week! Sorry, Rasque, your irritation will not phase him. Thanks for reading! See you next week! I hope the sudden tone shift didn’t give anyone neck strain… Thanks for reading! See you next week! “All I’m saying is: I have no intention of going up to the weird guy who hates humans and telling him he has to leave.” Thanks for reading! See you next week! It seemed like such a good idea at the time… Thanks for reading! See you next week! Good talk, man. Thanks for reading! See you next week! We come to an understanding. Thanks for reading! See you next week! 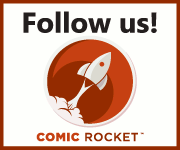 …and if you’re going to be at Awesomecon, please stop by L5 to say hi! I dunno man, seems like a fair question in this case… Thanks for reading! See you next week!